In the spirit of developing students’ sensitivities to those less fortunate than themselves, the first West Wind Fun Fair was held in March 1991 with all the proceeds donated to organizations which facilitate pre-school education for underprivileged children. The Fun Fair has evolved into a much anticipated annual event, which grows larger annually. Students and mothers create a number of artistic items for sale and mothers organize and operate a variety of games and food stalls. 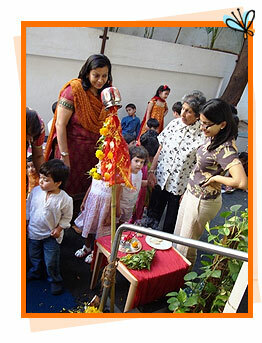 Over the years, it has become part of the tradition of the school for students to perform in a play organized by the school at the time of the Fun Fair. Sports day normally takes place in December/January towards the end of the academic year. Like all schools West Wind students look forward to participating in Sports Day with much enthusiasm cheered on by proud parents, friends and teachers. Our annual sports Day is always a fun filled event carried out in the spirit of true sportsmanship with our little athletes ready to give it their all. Our annual Sports day also includes “mothers, fathers and Grandparents”. Another annual event, one that culminates the end of the school year, is the graduation ceremony, the first of which was held in April 1980. The ceremony is a sentimental occasion. The little graduates clad in caps and gowns reflecting the school’s colours of black and orange, receive their diplomas from the Principal before a proud audience of family and friends. A unique feature of the school is the West Wind Association, which is made up of alumni and parents. Founded in 1982, the Association Promotes and maintains contact among the ex-mothers, ex-students and staff. 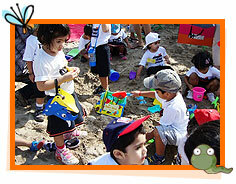 Like any other school, field trips play an important part of growth of the children. 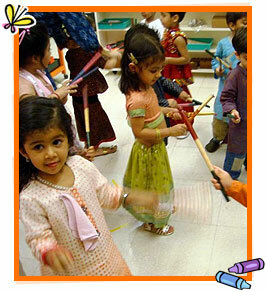 Through field trips, the children are encouraged to learn about important activities with a twist of fun. The school organizes trips to places of interest like the fire brigade, post office, supermarket, plant nursery, race course, bakery etc. related to the teachings at school. Festivals play an important part in the social bonding of Indians all over the world and develop a sense of national integration. Festivals at West Wind mean fun, feasts, presents, rituals, singing and happiness. Our family at West Wind celebrates various Indian festivals starting the year with Holi, Gudi Padwa, Easter, Independence Day, Janmasthmi, Ganesh Chathurti, Navaratri, Dussehra, Diwali and Christmas. Through these we create a sense of culture, heritage and tradition and an opportunity for parents to participate with something special for each festival. We also have artists, professionally qualified people from various fields such as music, dance and drama coming to school to educate our little minds.